Just like ShuShu's Paint, this peel off nail polish is made using environmental friendly water based ingredients. Peel off nail poish is a natural, eco-friendly nail polish designed for kids. Free from all toxic chemicals like D.B.P., Formaldehyde and Toluene, you can be sure that it is safe for all ages as you choose from a variety of vibrant colours! 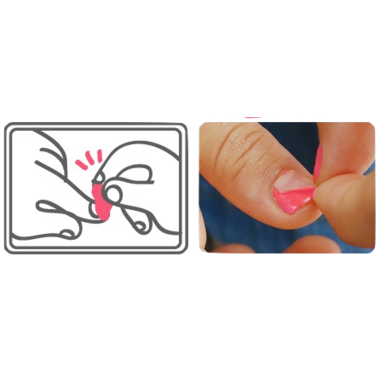 ShuShu's formula allows for easy removal just like a sticker without need for polish remover.